The Newburgh Free Academy Varsity Baseball team and their coach Scott Seabury are hosting the Strike-Out Cancer Classic to raise awareness and money for different forms of cancer this Saturday, April 21, 2018 at Delano-Hitch Stadium. The event will consist of three games among six different teams. A full schedule is below. Each team will be warming up in t-shirts of colors that bring awareness to a different form of cancer. A preview of the shirts and opportunity to purchase them can be found using this link. The webstore itself is open until 4/16 at 4PM. 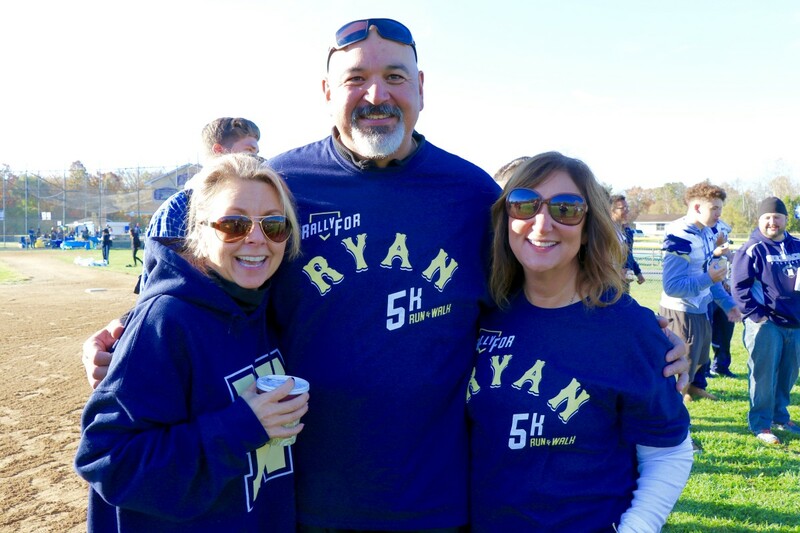 Fans are being asked to wear their Rally for Ryan t-shirts in support of Newburgh Free Academy senior and Varsity Baseball team captain, Ryan Danyluk who battled and “struck out” Stage 4 Hodgkin’s lymphoma this fall. All proceeds from the sale of these shirts will be donated to Sparrows Nest Charity, a local organization who provides meals to families and caregivers of children diagnosed with any type of cancer.